I suppose I am not the first person to suggest that all intellectuals have a secret desire to be philosopher kings. “If only the world’s policymakers would do what I want, things would be much better.” At times intellectuals are seduced by authoritarians who seem to adopt sensible economic policies, people like Lee Kuan Yew of Singapore. But for every Lee, there are a dozen Saddam Husseins, Kim Jong Ils and Turkmenbashis. After the Great Inflation of 1966-81, economists developed all sorts of ad hoc models proving that democratic governments are biased toward excess inflation. Unfortunately, the models were discredited almost as soon as they were published, as inflation rates plummeted almost everywhere. But they did have an impact on the thinking of economists. Many economists (and I am ashamed to admit that I was one of them) began to think “If only we could have a central bank that was shielded from political pressure. If only monetary policy could be run by philosopher kings.” As we will see, those sorts of Faustian bargains often backfire in the long run. One should never support a political process reform because one thinks it will lead to a particular policy outcome that you favor. Of course whenever economists decide they think a policy is wise, they find empirical studies that “scientifically” prove the validity of those policy prejudices. And sure enough, we soon began to see studies proving that independent central banks produce lower inflation rates. I’m not suggesting those studies are completely wrong, but in retrospect it seems like central bank independence is much less important than the intellectual zeitgeist. Inflation fell everywhere after 1982, regardless of whether the country had an independent central bank. Making the BOE independent doesn’t seem to have had much effect on British monetary policy. The ECB is more complicated. Obviously the so-called PIIGS are suffering partly due to their lack of ability to depreciate their currencies (although monetary policy is certainly not the only problem they face.) On the other hand the ECB actually represents two changes at once—movement away from the ability to conduct domestic monetary policies, and the movement toward a more independent central bank. Indeed the ECB may be most independent central bank in the world, given its insulation from influence by any single government. But the best example of the folly of making a central bank independent comes from Japan. I am not going to argue that the 1997 decision to make the BOJ independent caused the subsequent deflation–as we saw the BOE avoided deflationary policies after becoming independent—but it certainly prevented successive Japanese governments from being able to easily fix the problem. TOKYO””The Bank of Japan faces new political pressure to move more aggressively against deflation, as Japanese lawmakers set the economic policy agenda following the ruling party’s crushing election defeat. Your Party, a powerful new force in the parliament after Sunday’s elections, and a potential policy partner for embattled Prime Minister Naoto Kan, is planning to turn up the heat on the central bank to reverse a decade of declining consumer prices that has sapped the economy. Yoshimi Watanabe, president of Your Party, speaks about the yen, postal bills and the future of his party in an interview with The Wall Street Journal. In an interview Wednesday, Your Party chief Yoshimi Watanabe discussed his plans to require the BOJ to play a more active role in boosting the economy, including setting an inflation target taking responsibility if it fails to deliver results. That responsibility could come either through more frequent testimony in parliament, or possibly by forced changes in leadership. The central bank should also take into account the impact on the yen’s exchange rate when it sets its policy, the lawmaker added. Mr. Watanabe is just the latest Japanese political leader to challenge the BOJ’s independence. Policy makers long have been frustrated with what they consider the central bank’s insufficient concern for deflation. The Japanese government’s only tool for boosting AD was deficit spending, and as they quickly learned (and we are now discovering) fighting tight money with fiscal stimulus is like attacking Sherman tank with a bow and arrow. PS. For newer readers I should explain that although I like Singapore’s fiscal regime, I don’t like their political system. Instead I prefer the least philosopher king-like system on earth, Switzerland’s hyper-democracy. This entry was posted on July 16th, 2010 and is filed under Monetary Policy. You can follow any responses to this entry through the RSS 2.0 feed. You can leave a response or Trackback from your own site. I feel the need to point out the Democracy isn’t a magic cure either. You’re far too kind. The reappointment of Bernanke and the failure to make timely appointments to the Federal Reserve Board prove conclusively that Obama doesn’t understand monetary policy at all. He seems smart, but intellectually lazy. Perhaps it because he’s been surrounded by sycophants for so long. I’m skeptical of your claim that “the ECB maybe the most independent central bank in the world, given its insulation from influence by any single government”. As far as I can tell, the ECB doesn’t stray too far from what Germany wants. Speaking of the Bank of Japan, did you notice that Paul Krugman no longer “believes in” liquidity traps? Some good food for thought here, but I am still worried about the time-inconsistency issue. The United States, with its 2-year election cycle, is the only major country with an election cycle that is shorter than the inherent lags in monetary policy. The UK has a 5-year cycle (or snap elections with short campaigns, which may have become a thing of the past); the EU has non-synchronized elections; in Singapore elections don’t seem to matter much and until very recently, the same went for Japan. If Congress had more influence over monetary policy, who would have that ugly job of taking away the punch bowl? Wouldn’t Congress always want to postpone tightening, even when needed, until after the election? Giving control over monetary policy to the the White House would help only a little. Despite having a 4-year term, the president is pretty strong focused on mid-term elections, as we all know. In short, I submit that if there is any residual truth in the idea that time inconsistency plus inherent policy lags creates a bias toward inflation, that argument would apply especially strongly in the US. I think right now the White House, with its power of appointment, has just about enough influence over monetary policy, certainly a good deal more than none, if it would just choose to use it to the maximum. We ARE cutting government, this is not the Great Depression, we are not a generation of idiots (our grandparents) who allowed the state to grow in the face of economic suffering. We are their betters. As such, all of your down line fears do not exist. We ARE weakening public employees, we are distrustful of government, we are far more respectful of business and free trade… the die is cast. The question then is… IF the die is cast, and we do not inflate the currency, and we do cut back government services…. What’s the best way for the Fed to spur the economy? And the answer is liquidate MBS, stop propping up prices, mark to market everything – prepare for bank insolvencies, and let people stop spending so damn much on their housing as a percentage of their income. If 30M households suddenly have rent cost 1/3 less. If home ownership drops to 40%. If the mortgage tax deduction ends. Real estate has the come down it is supposed to have, and we very different situation on our hands. THEN, and only then, if we need to print some money we can do so. John, No, but it is a pretty good system. Jeff, I agree, but my point is that if he did understand this, or does come to understand it in the next few weeks, he still can’t do much about it. And I don’t think I was being very kind when I questioned his competence. Niklas, Yes, but that’s not because Germany controls the ECB, it doesn’t. It is just that both Germany and the ECB are inflation hawks. Back in the early 2000s I recall German economists complaining that the ECB was too tight, and that it was favoring booming Spain over high unemployment Germany. Thanks for the Krugman link. Ed Dolan, Those are good arguments. But I think your strongest argument would be that even when central banks are independent, as in Japan, the government is still allowed to set an inflation target. For whatever reason the Japanese government has chosen not to do so. Well, technically, no – check the polling data. Americans were always, and still are, suspicious of free trade. It may have worsened recently, relative to the 90s. Ed Nolan makes a good point on time inconsistency, but I would point out we have the Senate – at any given time, 1/3 of the senate are campaigning and 1/3 are worried that stimulus today will hurt their campaigns down the road. From a time consistency viewpoint, the Senate (which has plenty of veto power) seems pretty aligned. I doubt that’s enough, however. The REAL time consistency issue is generational, and not limited to the US. The retiring boomers gave themselvs a tax cut for 10 years, then when they are retiring they are raising taxes for current employees and cutting retirement benefits for FUTURE retirees, AND in many cases transfering private pension obligations to the federal government. All while the working tax base is shrinking, AND debt is coming due. To a degree, this was reflected in a structurally consumption oriented economy – much of the housing stock built, for instance, was not highly durable and requires high maintenance. It was big, but not necessarily high quality – it was exactly what a country with a high retirement bulge should not invest in. This was facilitated not just by monetary policy (in which Greenspan validated the wants of the boomer generation), but also by fiscal policy. And if you look at age groups, it was absolutely clear who voted for Bush II. At this point, I think it’s reasonable to start to argue that a decent part of the demand component of the current trouble is being driven by expectations of future structural problems that were not resolved in the window of the last 2 years (or, even, were made worse). One of the great centrist positions of the Obama administration – that we would create jobs via a massive investment in real infrastructure (and, unlike Japan, we have a huge infrastructure deficit) – utterly failed. Health “reform” happened, and no one likes it – even those who supported it. Financial “reform” was largely a wasted opportunity. Returning to the issue of generational time consistency, I would note that Boomers who live too long are going to be in trouble. Once they lose their political authority, it’s game over – the other generations will exact a vengeance for the fiscal debt that is being accumulated to support the deflationary currency policy that is needed to sustain retiree consumption power. I do agree that too many houses were built around 2004-07, and I think that both parties are to blame. It certainly wasn’t intended to be… Simply this – the voting power of boomers started to overwhelm other cohorts in the 80s. Taxes were cut. Taxes continued to be cut except briefly by Bush I (who lost reelection), and only now – when the boomers are entering retirement, taxes are going back up. This all happened in broad daylight with everyone watching. Conspiracies require small groups manipulating events behind the scenes. This was a huge group manipulating events in broad daylight – it’s the exact opposite of conspiracy. It’s electoral power, pure and simple. One can argue that the real problem here is that everyone mistakenly assumed 8-10% growth rate (6-8% after 2% inflation) on investments, and they were wrong – oops. Except that many many many people were criticizing these unfunded obligations, but local govts (and private firms) continued to use these rates to justify low payments because (quite simply) the electorate wanted them. Yet this was not a secret debate in smoke filled rooms. This debate was right out in the open – and governors were able to claim “budget reductions” by reducing contributions and assuming investment growth would make up the difference. At this point, you are probably thinking – OK, but if the Fed was targeting NGDP, this wouldn’t be a problem. Not so. It would be LESS of a problem, but it would still be a huge problem. Investments have largely grown at 8-10% rate in the past 30 years due to PE inflation (which accompanied declining interest rates), which is simply not sustainable. We might continue to hit 5% nominal growth, but as structural deficits draw more of this away from production and into fixed income transfers, real growth will decline (that’s the supply side story) and more of the 5% NGDP is inflation. But retirement benefits are often inflation indexed, or, even worse, indexed to the cost of medical care, so they will outpace inflation. PPS. In Canberra we had the Warm Sun Ripened Tomato Party in local govt elections a while back. They didn’t last though. In general cool or even descriptive party names are seen as a signal of wackiness (“Greens” “Family First” “One Nation”). Maybe this is just an Anglosphere thing, I don’t know? A government must increase its borrowing from banks and decrease borrowing from the non-bank private sector. When it reduces its PSBR from PSBR1 to PSBR2 it must make doubly sure that Bank Loans to Public Sector 2 is not less than Bank Loans to Public Sector 1. In fact to increase M at a time of suppressed bank lending to non-bank private sector and fiscal tightening, Bank Loans to Public Sector 2 must be greater than Bank Loans to Public Sector 1. By making the BOE independent, Government in the UK surrendered the power to determine the mix of PSBR funding and therefore lost sight of the above relationships and has meekly followed the BOE’s mistaken monetary policy in recent years. The servant and master relationship has changed entirely. Power may seduce, but surrender of power breeds dependency. How about the Pirate Party? There is one already in dozens of countries (http://www.pp-international.net/). The Swedish ones even have 1+1 seats in European parliament. Statsguy, I think you have to be very careful when saying “the electorate wants” this or that policy. I am not at all convinced that the electorate wants gold-plated public employee pensions, especially given that most of the electorate is not a public employee. 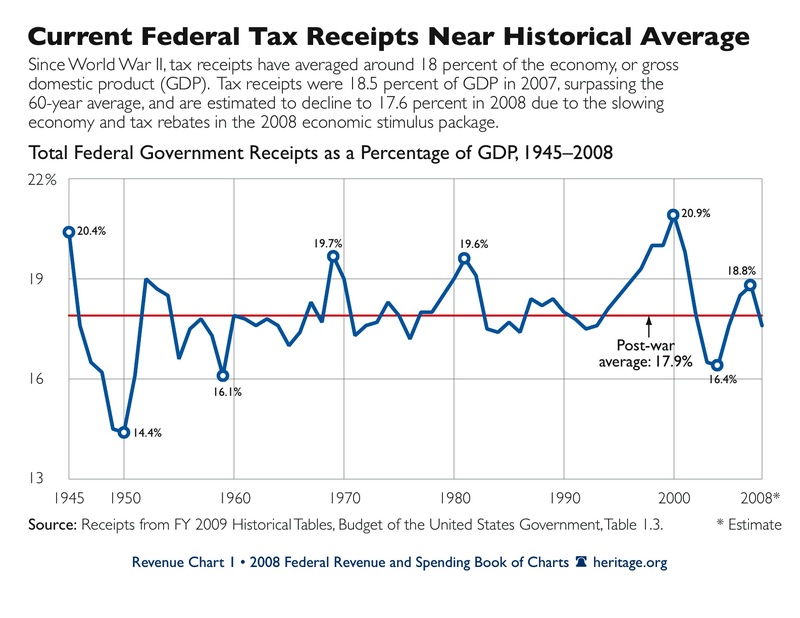 I also believe that taxes weren’t really cut after 1980, but stayed fairly constant as a share of GDP between 1980 and 2005, as did government spending at the federal level. I think some of this is government failure, due to excessively big governments. Are the Delaware, New Hampshire, Wyoming, and Vermont pension systems as screwed up as Califonia and New York? Maybe, I don’t really know. But larger entities are inherently less democratic, and due to agency problems get captured by insiders. Declan, If you play the entire Iceland video, you will see that wackiness also applies to the Best Party. I should have told people that the funny part is at the end. W le B, I am afraid that I don’t follow your equations, but that may be my problem. I have no idea how you define “M”. The last part I agree with. Monetary policy in the UK now puts many more constraints on fiscal policymakers. Mikko, Yes, that’s a good example. Luis, The German government may be the most influential, but that is not due to the structure of the ECB. If you are right it is because the other countries meekly delegate all power to Germany. If the other 12 voted against Germany, then Germany would not get its way. Isn’t the whole raison-d’etre of the idea of “Central Bank Independence” the anticipation of the moment, when in economic desperation, the public pressure becomes unbearable, and the politicians start begging for more inflation, there is some group of wise subject matter experts, akin to the Judiciary, isolated from and immune to popular whim, free to say no. An organization’s mission and purpose make a distinct impression on the personalities of those entrusted to run the institution. I wonder if the leaders of the Fed understand this to be their “no moment”, and tend to look at all criticism the same way Supreme Court Justices do, as the inevitable frustrations of a rightfully thwarted majority. http://www.interest.co.nz/news/opposition-wants-monetary-policy-consider-interest-rate-impacts-exporters. There is a more comprehensive version on Bloomberg, but I can’t find it right now. More or less, yes – small decline from 1980 to present, but I won’t quibble. However, this table is very different if you normalize by the % of the population in the workforce, and particularly in peak earning years in the workforce. From this perspective, the datapoint your raise is damning – tax revenue as % of GDP _should_ have gone up to cover future retirement costs; they didn’t. Scott, please may I have another go here? You say you don’t follow the equations I offered … that you have no idea how I define “M”.” It is much more likely to be my problem in communicating things than yours in ‘getting’ the idea, but have you heard from the Seventies of the IMF’s Domestic Credit Expansion equations, their flow of funds model and the notion of Government Induced Money Creation (GMC)? In these equations money is broadly defined as all bank deposits plus non-bank private sector holding of currency. The value of the analysis is that it links fiscal and monetary policy through the way the deficit is financed. By changing the way the deficit is financed Government can change the money supply which is very useful when that can no longer be achieved by Interest Rate policy (at the zero bound) or by credit policy (at a time when banks a reluctant to lend and borrowers to borrow). Either this is obvious and I’m a poor communicator or it’s a bit of lost economics. The latter seems unlikely. Indy, If the public ever starts begging for more inflation, it will almost certainly be true that more inflation is needed. Even today the public is opposed to more inflation, when we actually need more inflation. In any case, Congress can adopt a higher inflation target whenever they wish. So even independence would not hold up in an extreme case like what you describe. In 1932-33 Congress was agitating for more inflation, and we desperately needed more inflation. I wish the Fed had been less independent. Statsguy, Rather than taxes going up, I would have much preferred a forced saving program. MW, Thanks. I think they do need a change, but NGDP is better than exports. W le B, I think I see your point a bit better. But I don’t favor targeting the money supply, I prefer NGDP (or the price level.) And the Fed doesn’t need any help from the government, they have plenty of tools to work with, even at the zero interest rate bound. Sure – that would work as well. But the simple fact is that savings – private or public – should have gone up over the past 20 years. From 1988 to 2000, public net savings DID go up somewhat. Then the population bulge (aka, boomers) lowered the tax rate to cover present day obligations only and altered pension rules to use impossibly optimistic assumptions, expecting that a smaller future generation would cover them. Tax as % of GDP was mostly stable, precisely because of the population bulge. You could fix it through mandatory private savings and ramping down public retirement/health programs, OR you could (nearly) fully fund public programs. The real evidence is mixed, and I’ll concede there are some great examples of forced private saving systems working quite well. But we have amazing evidence that unfunded future obligations is a problem, and that underinvestment in infrastructure is a problem. Statsguy, I mostly agree. Perhaps we should follow the European example and start getting the private sector more involved in infrastructure projects. Andy. I can’t agree on the T-bills. Movements in the current instruments of monetary policy are far less important than changes in future expected instrument settings. That is why temporary monetary injections have very little impact on AD (as we saw in Japan.) This means that issuing more T-bills won’t do much, because it won’t change the future expected monetary base, the monetary base once the economy is no longer at the zero bound. The most important instrument setting is the Fed’s inflation target (implicit or explicit), and the Treasury can’t influence that at all. If expectations about the intermediate-range (as opposed to immediate) future are what matters, then why did the bond market react so much to the Fed’s QE announcements? (This is documented in Christopher Neely’s event study http://research.stlouisfed.org/wp/2010/2010-018.pdf ). If those announcements changed expectations about the future monetary base, they should have raised, rather than lowered, nominal bond yields. So presumably the impact on such expectations was minimal compared to the expected direct impact on real interest rates, and the latter (assuming you believe the study) was clearly large enough to matter for the economy. 2. There are lots of examples to support these assertions. Japan did a massive base increase in 2002-03, while announcing it would be temporary. They carried through by withdrawing much of the base money in 2006. And there was no inflation. In contrast, the 1933 dollar devaluation radically changed the future expected stance of monetary policy, and prices rose sharply despite no rise in the current money supply. 3. There are many event studies that show long rates moving exactly as I suggested. If my memory is correct then the first rate cut of the 2001 cycle (January) and the first rate cut of the 2007 cycle (September) were both more expansionary than expected and both caused long rates to rise. In December 2007 the rate cut was smaller than expected and long rates fell. And these were big movements in the bond market–very significant and easy to identify because of the 2:15 announcement effect. And my interpretation was confirmed by movements in equity markets, and pre-announcement Fed futures market predictions. Even so, the March 2009 reaction was a puzzle to me. It suggests that there are qualitative differences in monetary stimulus that I do not yet fully understand. So while I think there is plenty of reason for me to hold onto my basic expectations approach, I understand that the model needs tweaking and I will keep an open mind. I suppose at some point (if this pattern continues) I will have to acknowledge that a high monetary base/high demand for base money policy stance affects bond prices differently from a low monetary base/low demand for base money policy that is equally expansionary. The Fed has lots to tools to work with, and I am used to thinking in terms of policy along a single expansionary/contractionary scale. BTW, I drifted away from your original point about the Treasury doing monetary policy. I’ll keep an open mind on that issue. I think there is more than one interpretation of the event study you refer to, but since I don’t find any of them appealing, I won’t argue that you are wrong. On your point 2 above, at least for the examples you cite, I would note that they are subject to another interpretation. Japan was in a liquidity trap, and its currency was already floating, so the monetary base increase (some would argue, even if it had been permanent) was simply an increase in the quantity supplied of a good (liquidity) whose demand was near-perfectly elastic, so of course it had little effect on the price (interest rate) and therefore little effect on the economy. The 1933 devaluation OTOH was explicitly a change in an important price, so it’s not surprising that it had an effect on the economy. I actually did a paper in graduate school trying to test the “regime change” theory by looking at whether Britain’s 1931 devaluation increased deflation expectations in the US (where it was not a regime change and thus should not have had much effect). The results were pretty inconclusive, and it basically left me back at my prior belief, which is that regime change is part of the story but not the whole story. How exactly does this work? You mean by, say, converting its 30 year bonds into t-bills? Neely attributes the fall in T-bond and agency security prices to a portfolio balance effect. There are only about $5 trillion of GSE MBS extant, and the Fed has now purchased about a fourth of them. That’s got to be large enough to have a portfolio balance effect. But what you’re asking is why didn’t the QE raise expected aggregate demand, as Scott insists should result from a permanent increase in money. I think the answer lies in what Scott has been repeatedly complaining about: interest on reserves and tight-money comments by Fed officials. Both of these are telling the markets that the increase is not really permanent. If the economy starts to respond, say Fed officials, we’ll raise the rate paid on excess reserves to keep the higher monetary base from actually doing any good. The policy is not really easing, it’s just compressing the term and GSE spreads. You’re probably right, but my point is that those portfolio balance effects make a difference, even in the absence of a change in expectations. The resulting lower yields make it cheaper for firms to finance and thus more profitable for them to invest. The same effects would presumably operate if the Treasury, rather than the Fed, altered the mix of securities in circulation. Andy, but there is a substantive implication in the maturity of the Feds portfolio. Tbills unwind without positive action whereas long-dated maturities may not unwind until the end of the business cycle. As any bond investor knows, long-dated debt is as it’s apex at the trough of the cycle. So, the fed cannot liquidate long-dated debt during the middle of the business cycle without incurring a loss. So it would be expected that a longer dated portfolio would be regarded as permanent through the next business cycle whereas you need an argument other than loss adversion to make thart claim about tbills. Regardless, tbills have not been an operative component of monetary policy for twenty years. The fed held them so as to have a ready pool of securities to liquidate to sterilize sudden activity at the discount window. I don’t disagree with you. I was only suggesting a reason why the AD effect that you might expect from large Fed purchases doesn’t seem to have happened. I do agree that if the Treasury were to buy the same stuff the Fed bought, and in the same amounts, and financed it all with short term Tbills, the effect would be much the same as what the Fed has done. Andy, There is a lot to say about Japan. 1. The BOJ clearly wanted the mild deflation outcome they got. We know this because they tightened monetary policy three times in the 2000s, in each case when there was no inflation. So the term ‘trap’ is misleading, it suggests that the BOJ was trying to inflate but was unable to. But they weren’t trying to inflate. They said they didn’t want inflation, and they acted like they didn’t want inflation. 2. On theoretical grounds the temporary/permanent distinction that Krugman emphasizes can explain liquidity traps. The “perfect substitute” theory cannot, unless you believe the public expects liquidity traps to last forever. A permanent currency injection, if expected to persist, will raise future expected inflation even if currency and T-bills are currently perfect substitutes. The theory Krugman and I use can explain why the MB in Japan fell sharply in 2006. The alternative “perfect substitute” theory just leaves that decline unexplained, the sudden whim of central bankers. The 1931 devaluation almost certainly did increase deflation expectations in the US, but the main effect was indirect. It wasn’t so much the devaluation itself, but the fact that it triggered gold hoarding around the world which put deflationary pressure on all countries still on the gold standard. The 1933 devaluation actually made the US trade deficit worse, as the income effect overwhelmed the substitution effect. It worked because it increased inflation expectations. Obviously we couldn’t do exactly the same thing today. But there are other policies that would increase inflation expectations–such as a higher explicit inflation target, level targeting. Everyone: A few comments on the discussion at the end of this comment thread. I am generally skeptical of the efficacy of having more T-bills and less T-bonds. Yes, T-bills and reserves are now close substitutes for banks. Both are equally hoarded at his moment. But only permanent monetary injections matter. And in the long run reserves and T-bills won’t be close substitutes. So in my view, swapping cash for T-bills is about the same as swapping cash for T-bonds. In both cases the OMP will do nothing if the injection is viewed as temporary (or if IOR is expected to sterilize the injection forever) and in both cases it will be highly effective if viewed as permanent. That why the Fed’s other signals are so important. Signals like inflation targets can change the perception of how much of the currency injection is permanent. I haven’t read all the comments yet, so apologies if I’m repeating someone. When I first learned about the U.S. Federal Reserve System, I was most impressed by the way it seemed to be constituted so as to make it as independent as it could be without amending the Constitution to create a fourth branch of government. I wondered why that was supposed to be a good idea, and I’m surprised that someone would think the needed reform was to make it even more independent, which is to say unaccountable. David, I like that friedman quotation. I notice the same thing.